A Writers Voice series exploring the literature, spirit and meaning of the Connecticut River in Massachusetts. The River Runs Through Us is a special, six-part mini-series exploring the literature, spirit and meaning of the Connecticut River. Funded by a grant from Mass Humanities, Writer’s Voice will examine contemporary challenges through the creative, metaphorical and historical lens of the Connecticut River by engaging writers, artists and scholars in a long form public conversation. The River fostered much of what we recognize as the modern world in New England. It stretches for over four hundred miles, from Northern New Hampshire to the Long Island Sound. Millions of people live within the River’s basin, an area of 11,000 square miles. 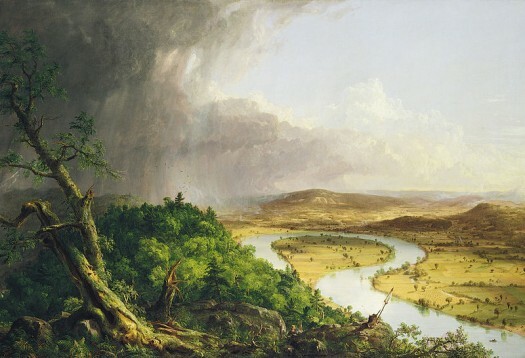 Without the Connecticut, New England may have never become the driving force in spreading the American revolution and democracy; without the river, New England wouldn’t have served as the incubator for American intellect and creativity; without the Connecticut River, America may have missed the Industrial Revolution. In short, the Connecticut River is the heart, mind and soul of an entire region; it’s Valley is a birthplace of American art, spirituality and economic power. So join us as we tell the River’s story. Along the way, we may well find that the story of the river runs through us too. Here’s a great opportunity to support Writers Voice and the cultural heritage of the Connecticut River Valley. We need to raise some funds to fulfill the conditions of our grant for The River Runs Through Us and we’ve got a Kickstarter campaign to do it. So head on over to this link and check it out! Any contribution is greatly appreciated. But we are not just asking for handouts; we have some wonderful rewards for your support, including new book titles, autographed books from local authors Susan Stinson and Jacqueline Sheehan. Just add #wvriver when you use Twitter, Facebook, Pinterest or any other social media site. Send links of photos, stories, and cool information about the Connecticut River and its Valley. We’ll add the links to Storify to create a running journal for the series.